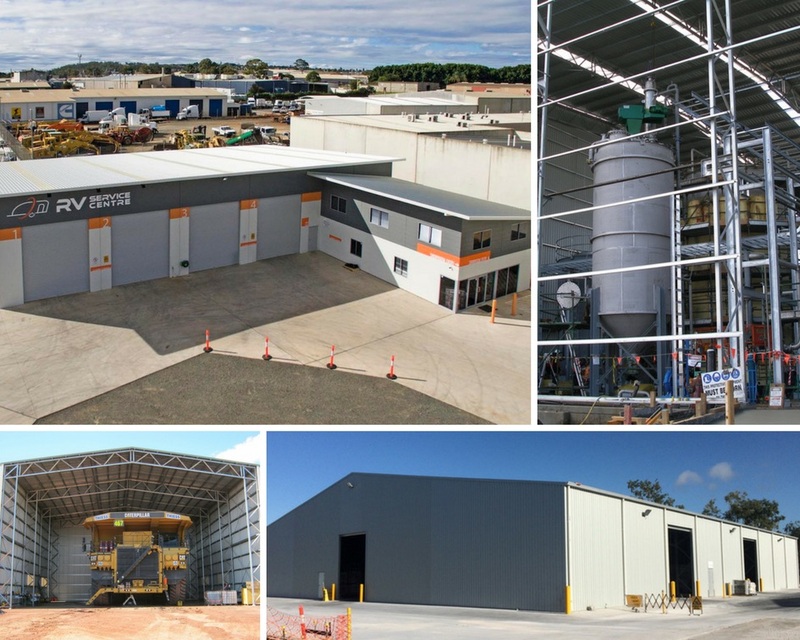 Over time we have seen industrial sheds transform from humble storage spaces, into valuable assets for commercial and industrial businesses alike. The uses for industrial sheds these days are seemingly endless – but not all sheds are built equal. With the help of the qualified engineers and designers at Clearspan you can customise your industrial shed to create a highly customised, functional building that will deliver the best results for your business. To learn how you can make a Clearspan industrial shed work for you, check out our 7 uses for industrial sheds below. Clearspan can work with you to tailor the design of your industrial shed to meet the specific, and diverse needs of your processing operation. All Clearspan industrial sheds are made with galvanised, or zinc coated steel for durability and quality. An industrial shed is a cost-effective solution for housing and storing mining plants, or machinery. With features such as tilt panels, open sides, and concrete flooring available, your Clearspan industrial shed is an ideal structure to store, maintain and transport your equipment. Clearspan industrial sheds can be made to suit a number of workshop and manufacturing purposes, from auto repair services, to window suppliers. Our range of specialised design options including; sound proofing, windows, cladding, facades, and internal walls, are all critical to the commercial success of a joint workshop/ office space. In an industrial warehouse environment, it is important to have the right layout to ensure the correct product storage and access. From UB columns to gantry cranes, trusses, access and sliding doors, Clearspan offers you the opportunity to create an operations driven layout that will meet your business objectives and operational needs. Even the most customised jobs can be achieved with the help of our experienced Clearspan construction and design team. Our seamless building project services will help you to create a unique space that is perfect for your aircraft, and your budget. It is our mission to ensure that every Clearspan industrial shed has the characteristics and features to enhance the buildings purpose. This is particularly relevant when structuring a refinery facility where the design directly impacts the safety of your staff. Industrial warehouses continue to be a great alternative for commercial, industrial and personal storage. The added features offered by Clearspan, like insulation and ventilation, give you the option to access more advanced storage solutions. To find out more about our extensive range of design options for industrial sheds click here.